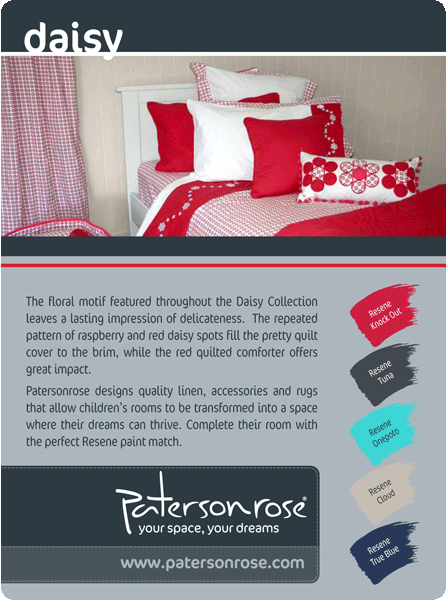 At Patersonrose we are excited to launch a range of selected interior paints by Resene Paints (NZ) chosen to perfectly co ordinate with each the Patersonrose bed linen collections. 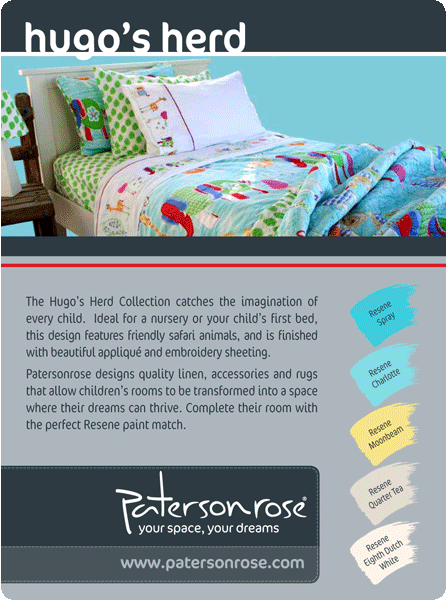 This collaboration comes at a time when many parents can’t afford the luxury of using an interior designer to create a “designer bedroom look” for their children. 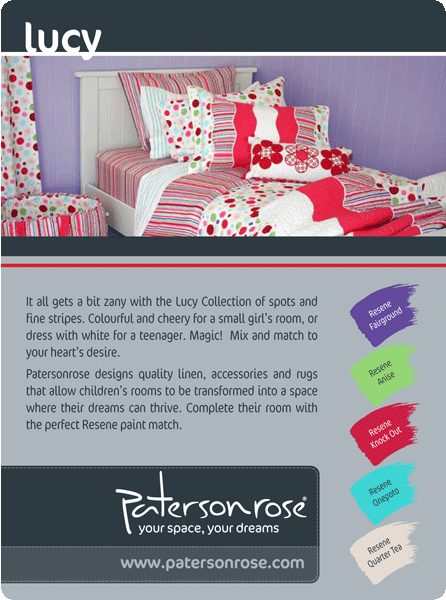 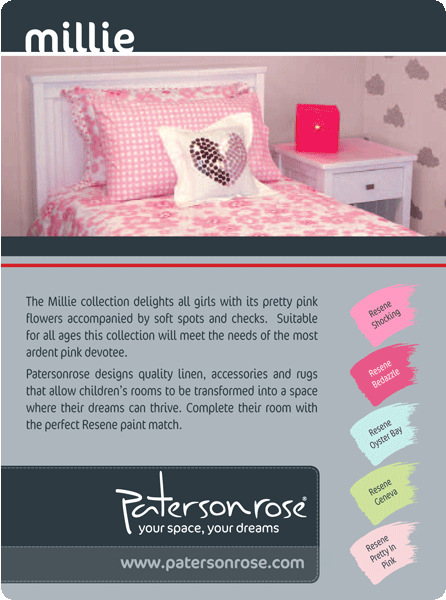 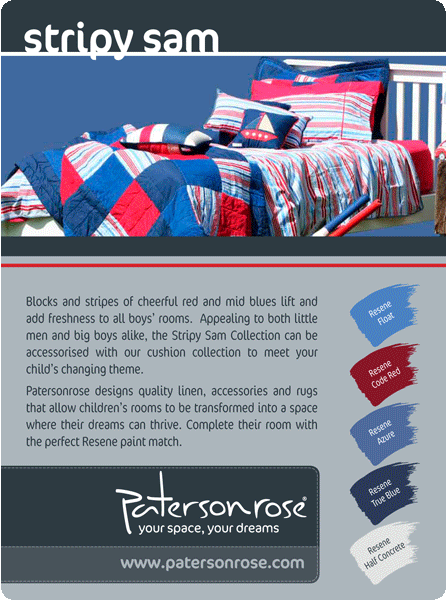 Patersonrose can now provide the complete designer bedroom look, including a range of products that fulfil all practical and design requirements of a child’s bedroom, from coordinated bed linen collections to curtains, storage solutions, rugs, lightshades and more. 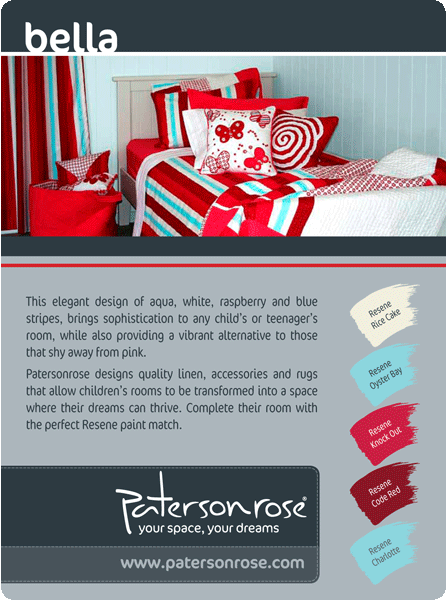 Resene paints complete the designer bedroom with a range of interior wall paints created to enhance a child’s room without the designer cost. 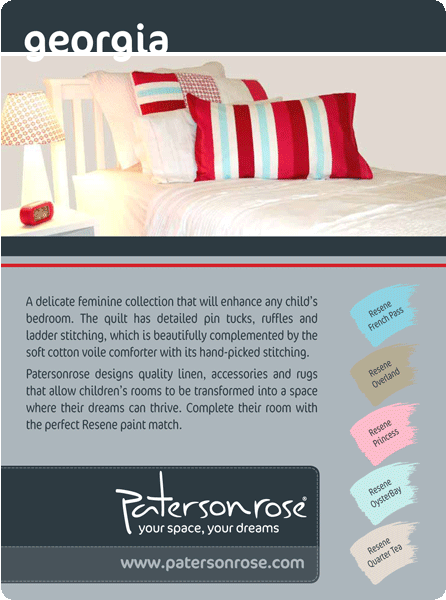 Together with Resene we have created easy to use collection cards featuring each of the paint options for all of our designs. 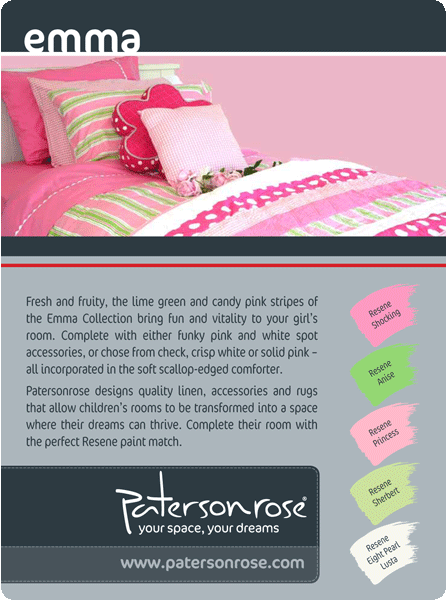 View these below or at any Patersonrose retailer from the 1st June, 2011. 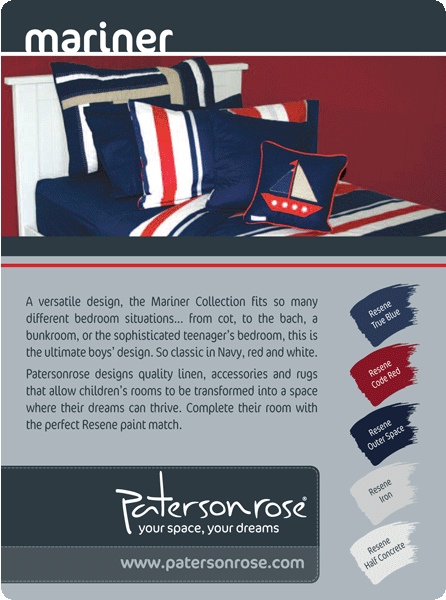 Once you have decided on your choice of paint visit any Resene store to technical advice and a test pot.